>> Incredibly easy World Book Day costumes for when time runs out! We love books, so what could be better than World Book Day? But has it crept up again, leaving you with little or no time to organise the children’s costumes? Preparing for World Book Day when you don’t have craft skills, hours to spare or a huge supply of craft materials can be tough. I’ve seen some guides to making outfits that have frankly made me want to run for the hills. If you had the same feeling, don’t despair. I’ve got plenty of ideas for some seriously easy World Book Day costumes. So skip the stress and get straight to the bookish fun! I know some parents love putting costumes together. Some kids aspire to be the finest of cosplayers and are already attending fan conventions in character. But for those of us who just can’t handle that, read my tongue in cheek guide for really easy World Book Day costumes. One of the problems for parents and carers is lack of time and notice. The first time I heard about the annual World Book Day dressing up, we had two days notice of the event. At the time I was working 9-5 and had no time to rustle up an amazing homemade costume. That year we had no choice but to do the easiest thing. We opted for the shop-bought Batman costume that was already in the wardrobe. We were soon to find out that such sloppiness was frowned upon. The following year when the reminder letter arrived – again with just two days notice – it declared “No superheroes! No princesses! Book characters only!” Er.. there are lots of books featuring superheroes and princesses. And the kids really love them, so why not? My cynical side thinks the letter was less about book snobbery and more about making parents rush around making costumes from scratch. But that’s just me being cynical. No worries, my son didn’t want to go as Batman that year. He wanted to go as the squirrel from The Grufallo. I spent a few hours throwing together a completely naff squirrel costume using glue, fake fur and an old top. It didn’t look good. But my son was fairly happy. In defiance of the ban on heroes, his year group teacher turned up in a Bananaman costume. Lots of other kids dressed as superheroes and princesses too … good for them! The good news is that the rush to gather the costume should in theory get easier. Year by year us parents might start to vaguely remember the timing and mutter, “world book day is coming up isn’t it?” in the school playground. We might even remember to have the conversation with our children about a week in advance, ask who they would like to go as and come up with some kind of plan. We might begin to visualise the perfectly planned and executed costume. However, part of the struggle can be finding out what your child is willing to go as. Your idea of the perfect costume might be one they hate. It can take a while for them to decide, by which time you could again have run out of time to create, forage or buy this amazing ensemble. I suggest looking for the simplest possible options and try to avoid spending lots of cash on fancy accessories that won’t get used again. Does your child have an animal onesie? There are lots of books with animal characters – pick one to match and suggest that, particularly if they fit well with a book they are fond of. e.g. if you already have a mouse onesie the child can be the mouse from The Grufallo. if your child loves the Grufallo and you are looking for a Grufallo costume, a ready-made onesie is a very easy option. Find one here. A bear onesie can be the bear from We are going on a bear hunt or Goldilocks and the Three Bears. Check out size and price options here. Probably the easiest World Book Day costume for us was the year my son chose to go as the bear from We’re Going on a Bear Hunt and wore the bear onesie that he had conveniently got for Christmas. How about one of the 101 Dalmatians from the classic book by Dodie Smith? Click here to check sizing and prices. Charlie or Lola of the Charlie and Lola books by Lauren Child – they wear various outfits and your child probably has something similar. Cassidy from Completely Cassidy by Tamsyn Murray – basically a school uniform. Penelope from the Penny Dreadful books by Joanna Nadin – messy hair and various coloured tops, have a look at the covers and chose one your child already has! Tom Gates from the Tom Gates book series by Liz Pichon – a top with a collar and any trousers. Eddy from the Eddy Stone books by Simon Cherry – a black or green top and jeans. 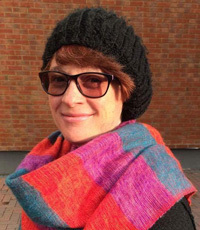 Luke Parker from My Brother is a Superhero, See above – a blue and red striped top, blue cardigan and trousers. You can probably think of lots more examples. Make sure your child is carrying the book so that it is evident who they are and no-one thinks they have just tried to get away with wearing their own clothes, heaven forbid! There’s lots of scope here. There are many books which include vampires, ghosts, mummies etc. Got a pirate costume or a chef costume? Match it up with books that include these characters. Some examples are The Pirates Next Door and the Goosebumps books. Basically, if you have a costume you will be able to find a character to go with it. Check out pirate costumes here. A Harry Potter dress-up is, of course, a reliable classic for any girl or boy who loves the boy wizard. Your most likely to have a superhero or princess costume already in the wardrobe. But beware, as noted above, this choice is risky. If you want to go this route and not be judged, make sure you arm your child with a copy of a book or a list of books these characters appear in. You may be surprised yourself how many of these characters appeared in many, many books before appearing on-screen. Certainly, most of the Disney Princesses did. Yes, Snow White is definitely a book character! Find a Snow White costume here. And when it comes to heroes, yes, graphic novels count too, they are books! Of course, you can always just ignore the judgey brigade! Make a little effort, bring a bit of a DIY aesthetic into it, but make it shoddy and don’t care about it. At least you will never be roped into last-minute panto/nativity costume making, as you will have shown off how poor your costume skills are! Take instructions from one of the many costume making guides around and bring it down a notch to make it as easy as possible. a plastic Viking helmet – available in some museum gift shops and also find it online here. the leftover fake fur from a previous years squirrel costume draped over the shoulders. Reuse! Here’s a proper guide to a Hiccup costume if you want it to look even better. This year, my son’s planning to go as Black Panther. Of course, he made sure to have a junior Black Panther book with him to complete the look. He has adapted a costume he created in the summer for his character called Cat Kid. It’s made out of black clothes and some silver paint. My child is now showing more craft initiative than me (make that a lot more than me). So, if you are lucky enough that your child takes that step, just go with it and let them come up with whatever fun costume they can, whether it looks totally pro or a bit shabby. Plenty of sensible guides to world book day costumes are out there if you want to make a bit more effort. Apparently these ones are all for parents with limited time, but I remain unconvinced. Do you really want to spend all that time getting tangled up in piles of cloth, cardboard, paint and glue? Or be honest now, wouldn’t you rather be reading a book?! The important take away from World Book Day though is not competitive costume making, it’s about enjoying books and having fun. So don’t forget to use your £1 token, given out by most schools, towards buying a book – score! 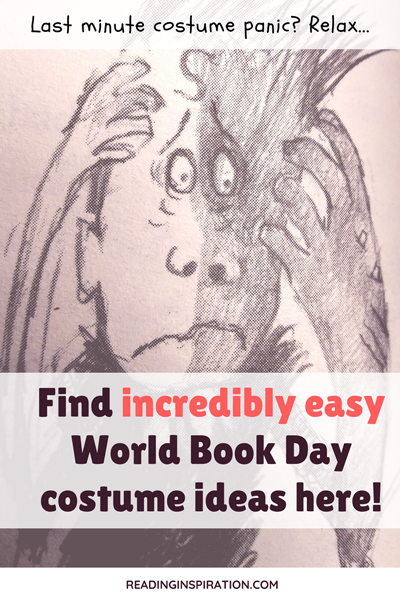 What World Book Day costumes did you come up with in the end, did you find it easy or difficult? Do you enjoy making costumes or would you rather take the easy option? (Either way, I am not judging!) Let us know in the comments below! I vaguely remember hearing about World Book Day but we have never participated. How do you take part? It sounds like so much fun! It is a fun event! Here in the UK we mostly dress up as book characters! The World Book Day organisers also send out £1 book vouchers to schools, colleges and nurseries. All children get a voucher. Most book stores take the vouchers. Some authors do small special £1 books just for the event. But you can also put the voucher towards another book’s price throughout March. This year a lot of schools had the dress up delayed because schools were closed by snow!